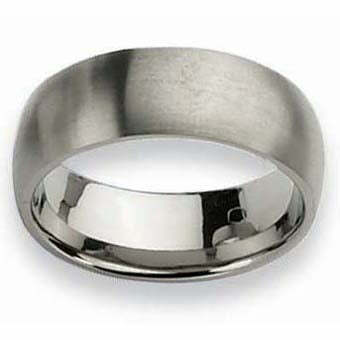 Men’s wedding bands come in a variety of designs and metal types. Depending on your own personal preferences, you will be able to determine which metal is the best for you and your needs. Below are three popular alternative metals that are used for wedding jewelry, including men’s wedding rings. 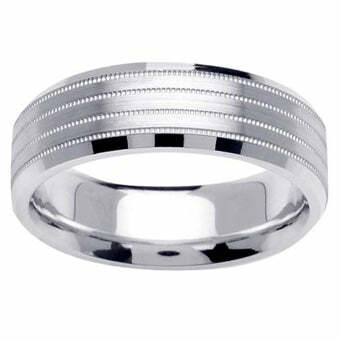 Platinum is probably the most popular choice for a wedding band that is not made of 14 kt or 18 kt gold. Platinum is an all white, hypo-allergenic metal. Platinum is great for men that have sensitive skin or are allergic to gold. I chose this distinctive wedding band because it is designed with a beveled edge and four rows of decorate, milgrained detail. Platinum is quite heavy, which is why a ring made from platinum is more expensive than a ring made from gold. I wanted to showcase a classic design. This ring is made from palladium, which has a gunmetal gray color and is hypoallergenic. It is less expensive than platinum, but still does not require rhodium plating due to its color. This band is flat and has a 6mm width. This ring may be customized to feature a high polished, brushed, or hammered finish. 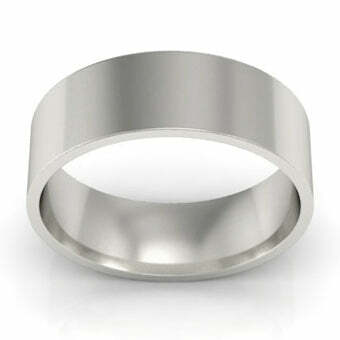 Titanium is one of the most affordable options for a wedding band. Titanium is incredibly lightweight, which makes this ring extremely comfortable to wear. The brushed finish of this 8mm ring complements the gunmetal gray hue of the ring. Titanium rings are resistant to tarnishing and come in a huge variety of styles.